MS is a chronic disease of the central nervous system in which the immune system eats away at the protective covering of nerves. Patients experience a broad range of physical and cognitive problems, depending on the location and frequency of repeated immune-related attacks on the system. These can include loss of balance, slurred speech, tremors, problems with memory and concentration, paralysis, and blindness. Unlike the physical problems, which are easily recognised and monitored, the cognitive issues are less clear and changes may go unnoticed. 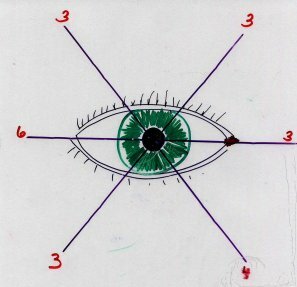 By following simple visual commands, movement of the eye has been shown to reflect our cognitive or thought processes. "Over the past 10 years, our studies have shown that eye movement measures can reveal abnormal cognitive processes in MS patients, at all stages of the disease, even where a diagnosis is only suspected. Further, we have been able to show that the degree of abnormality increases with disease duration," commented Dr Joanne Fielding from the School of Psychological Sciences at Monash University. The ability to monitor the various symptoms of the disease is crucial for patient management, specifically for determining whether the disease is progressing or that a particular treatment is stalling disease progression. According to Dr Fielding, the primary advantage of these measures lies in their sensitivity, especially in the earliest stages of the disease, and in their ease of use. "We propose that it may be possible, therefore to use eye movement measures to assist with early diagnosis, especially given that cognitive changes are thought to be among the earliest changes seen in MS, to monitor disease progression over time, and to monitor responses to treatment. These are the aims of our ongoing studies," Dr Fielding said.